With smart home technology, it’s never been easier to save on your electric bill, childproof your home or keep an eye on your loved ones remotely. Utilising an integrated communication network, smart homes allow you to control your home’s security, electrical usage and more with just your phone! Here are 4 easy ways you can turn your home into a tech-savvy haven. As busy, working adults with a bucketload of tasks complete, the last thing on our minds is ensuring that every single plug at home is switched off to conserve energy. 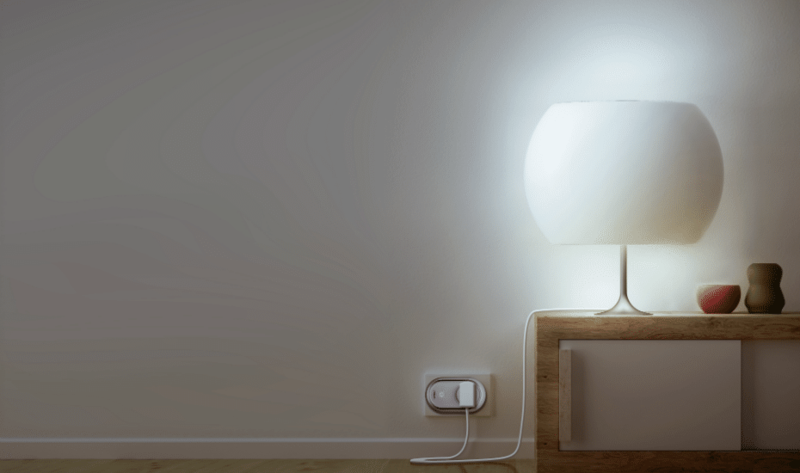 Many of us are guilty of accidentally leaving lights and devices on, resulting in a hefty electric bill. Simplify your hectic mornings with smart plugs. Not do they help you keep track of your energy consumption through easy-to-access apps, you can also control your home’s devices to switch on or off remotely. Smart plugs like the ASUS SmartHome Meter Plug are also extremely useful in the event of a power surge, with built-in safe modes that divert excess energy to a grounding wire. We all want to feel safe in our homes, and more importantly, keep it secure for our loved ones. Being away from your kids, your elderly parents, even your precious fur babies can be a source of great anxiety. An easy solution is to invest in a smart surveillance camera. Unlike an outdated CCTV, a smart surveillance camera has more convenient accessibility options, better storage features and higher quality video capture. If you’re at work and need to check on your household, smart surveillance cameras like D-Link’s 180-degree Wi-Fi Camera gives you wall-to-wall coverage in crisp, 720p clarity with its ultra-wide angle lens. Plus, you can easily access your camera through the mydlink mobile app. No base station needed! Doors, windows and drawers are often the most vulnerable parts of our homes. When you’ve got little ones, windows and drawers instantly become bump-and-bruise danger zones. 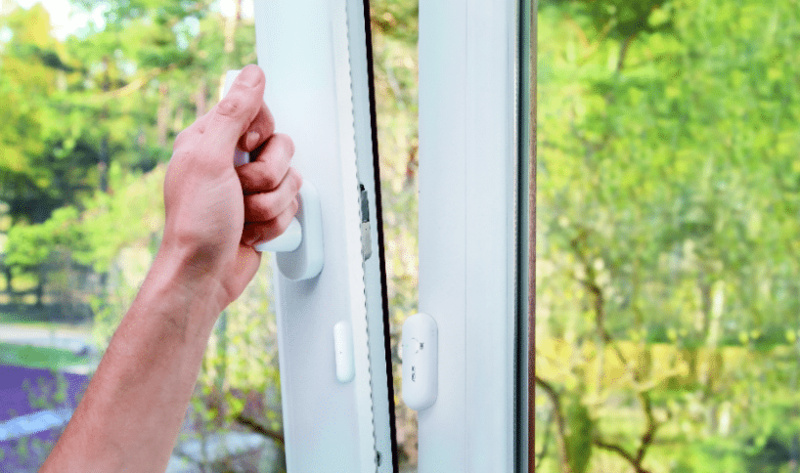 Unsecured windows can also be entry points for a break-in to occur, while an unmonitored door can lead to your pets escaping home and getting lost. That’s where smart sensors come in. Working like an extra pair of ‘eyes’, these sensors detect and give you instant alerts, wherever you install them. Whether your child has accidentally opened a window or a stranger is trying to tamper with your windows, smart sensors like the ASUS SmartHome Open/Close Sensor or Motion Sensor notify you immediately of any unexpected movements. Feel like you need an extra layer of security? Pair these sensors with sound and light alert devices like the ASUS SmartHome Siren. These devices trigger flashing lights and loud sonic alerts – great at scaring off intruders! Having easy access to our homes, while maintaining tight security to outsiders is a tricky balance – particularly with areas like our front door. Entering and leaving should be a breeze, but our current old-school key system is rather clunky and having to punch in a security code can be a chore. Plus, many of us frequently forget to lock our front doors! Installing a smart door lock gives you the best of both worlds. They allow you to easily open your front door with a variety of methods for convenience yet provide stronger security features at the same time. 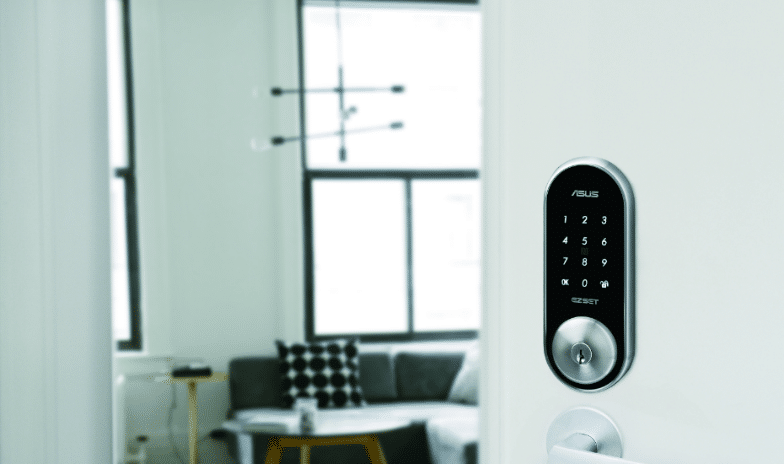 Smart door locks like the ASUS SmartHome DL101 gives you 4-in-1 access for easy entry, but also sends you regular alerts if anyone tries to tamper with the lock. Think strangers will able to guess your passcode? Think again. Randomized code protection is used to prevent such issues. Also, like smart sensors, smart door locks can be easily paired with sound and light alert devices to provide an additional deterrent to pesky intruders. Still unsure how to go about creating a smarter home? Start with MyRepublic’s smart home bundles! Featuring the latest D-Link and ASUS smart home products, get a smart add-on kit from just $0, plus ultra-fast 1Gbps Fibre Broadband at $49.99/mth.